Obituary for Joan B. 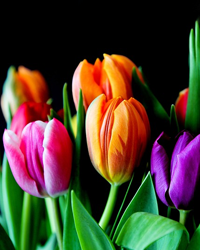 (Thielet) Demski | Salandra Funeral and Cremation Services, Inc.
Joan B. Demski age 87 of Lawrence passed away peacefully at Manor Care in McMurray on Thursday, August 2, 2018. She was born November 1, 1930 a daughter of the late George and Betty Chytel Thielet. Mrs. Demski live her life in Lawrence and had been a graduate of Cecil High School. 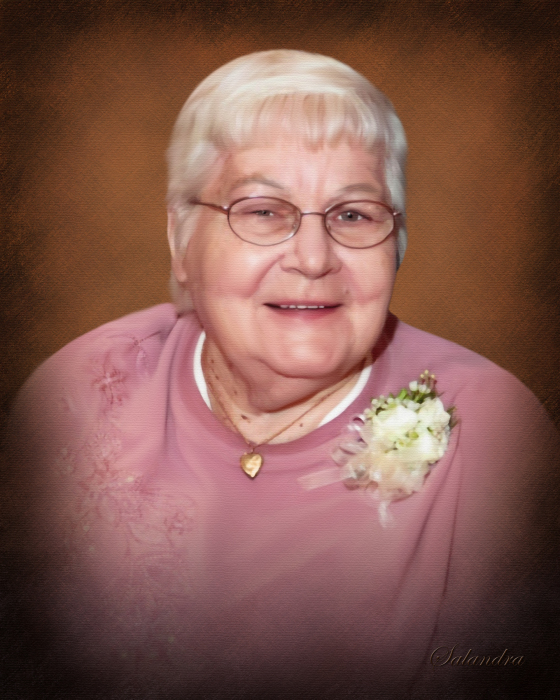 She was a member of St. Mary’s Roman Catholic Church in Cecil. On June 17, 1950 she married Edmund S. Demski Sr. who passed away September 1, 2002. She had many interests including playing cards, slot machines and the lottery. She also enjoyed solving puzzles in the daily newspaper. Her family was her passion. Above all, she loved her grandchildren and spending as much time with them as she could. Left behind to cherish her memory are three sons; Michael Demski (Margaret) of Lawrence, William P. Demski (Roxanne) of Elizabeth Township and John L. Demski (Sandy) of Cecil, a son-in-law Bryan Plute of Lawrence, twelve grandchildren, eighteen great grandchildren, one great-great grandchild and many nieces and nephews. Deceased in addition to her husband and parents is her daughter Elaine Demski who passed away February 6, 1986, her son Edmund S. Demski Jr who passed away March 12 2008., her daughter Beverly R. Plute, her brother Shine Thielet and two sisters Mary DeGrave and Georgine Siders, and a granddaughter Kerry Joan Demski who was a twin. Friends and family are welcome from 2~8 p.m. on Sunday August 5, 2018 in Salandra Funeral and Cremation Services, Inc. Joseph P. Salandra LFD owner/supervisor, Darla Tripoli LFD 304 West Pike Street Canonsburg 724-745-8120 where services will be held on Monday August 6, 2018 at 12:30pm with Pastor Jim O’Brien officiating. Interment will follow in Queen of Heaven Cemetery, Peters Twp. Memorial contributions are suggested to the National Ovarian Cancer Coalition at ovarian.org or to NOCC, 3800 Maple Avenue, Suite 435, Dallas, Texas, 75219. To view or extend condolences please visit www.salandrafunerals.com.